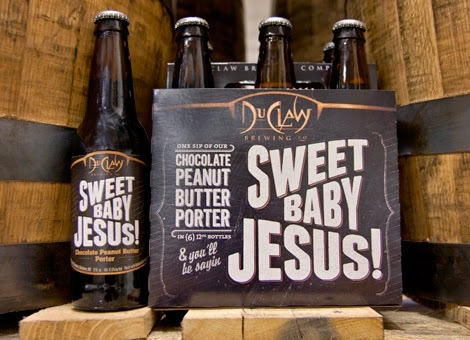 Being a religious but not very spiritual man myself, I hadn't heard of the whole Drinking with Jesus thing. One of my morning coffee cronies is a young pastor named Jim Jones who happens to be putting one of these events on. Every Monday afternoon at the Fallbrook Brewing Co. you can click pints with the king of kings, or that is what I am led to believe anyway. Jim J. hales from New Mexico, he's not the other guy from Guyana. Really nice person. Historical Jesus, hysterical Jesus, I probably won't hang out too long. Might have a taster with Jesus. No growlers. My idea was that every lawn maintenance guy named jesus in the area drank free but it didn't go far. I genuinely like the concept, meet the savior who likes to hang out with the wrong people, in the wrong places, who favors lagers and stouts. Being the thorough research person that I, sometimes unfortunately am, I googled the phrase and found out, once again, more than I needed to know. 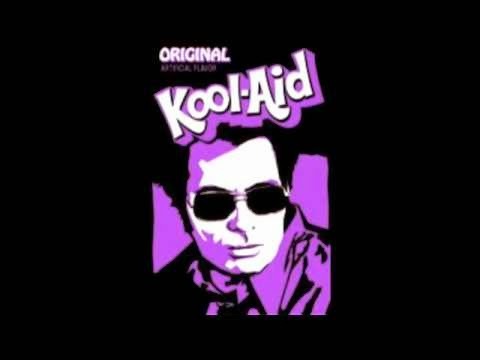 Drinking With Jesus is a 2009 album by the Red Elvises. 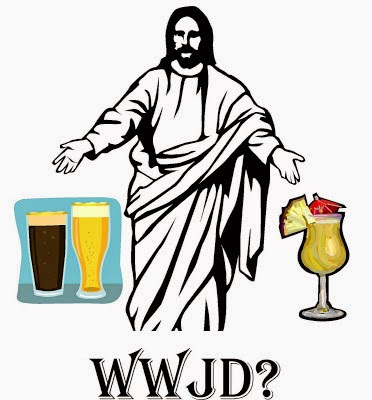 Drinking with Jesus is a slang term in the Urban Dictionary which means drinking alone. 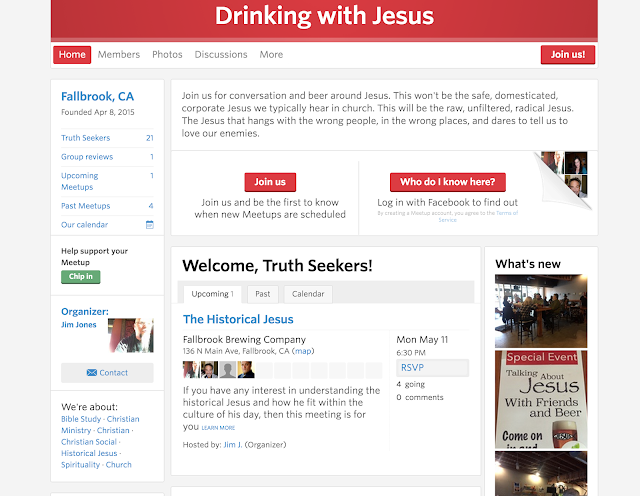 Drinking with Jesus is a bar game. And a movie which I have not had time to watch. Praise the lord and buy him a round! 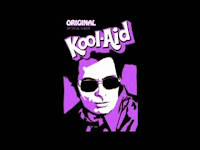 Thank you for clarifying, as I would be hesitant to drink anything with a preacher named Jim Jones. But hey it would be rather convenient to ask for forgiveness as I order the next pitcher.